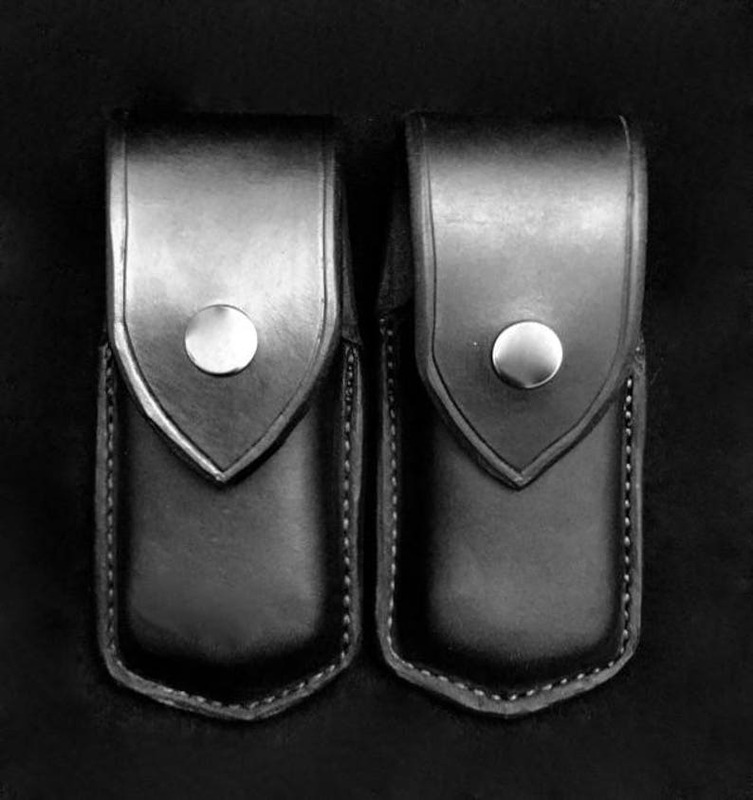 This product is a custom leather case/sheath to fit the leatherman OHT. It has a single layer of leather for and has a plain design on the flap! These cases will hold up to years of use and will keep your tool close and handy! - Made from saddle leather in a saddle shop! - Fits Leather belt loop up to 2" belt! - Colors available: black, brown, and mahogany! - Made from a saddle maker with over 20 years of experience! This product is built to ensure that your Leatherman OHT is secure in its case! Great company to work with. Excellent quality products! This sheath is of extremely high quality. I expect it to last as long or probably longer than my Leatherman. The only reason I didn't give it 5 stars is that I had to soak the sheath in water and use a custom made form to stretch it out before I could use it on a daily basis. Otherwise it was too tight. But after that, it's been great. Awesome custom sheath. Perfect fit and great quality. My only regret is that i didn't get one sooner. Awesome product.